Daniel Cormier stepped on the scale at 206.2 pounds at the UFC 210 early weigh-ins Friday morning. At that point, everyone assumed the title fight in Buffalo was off. Cormier, the UFC light heavyweight champion, needed to hit the limit of 205 in order for the belt to be on the line and he did not. Cormier came in with less than five minutes to go in the two-hour weigh-in window. Somehow, though, Cormier came back just 2:24 later and weighed in at 205, losing 1.2 pounds in that short amount of time. 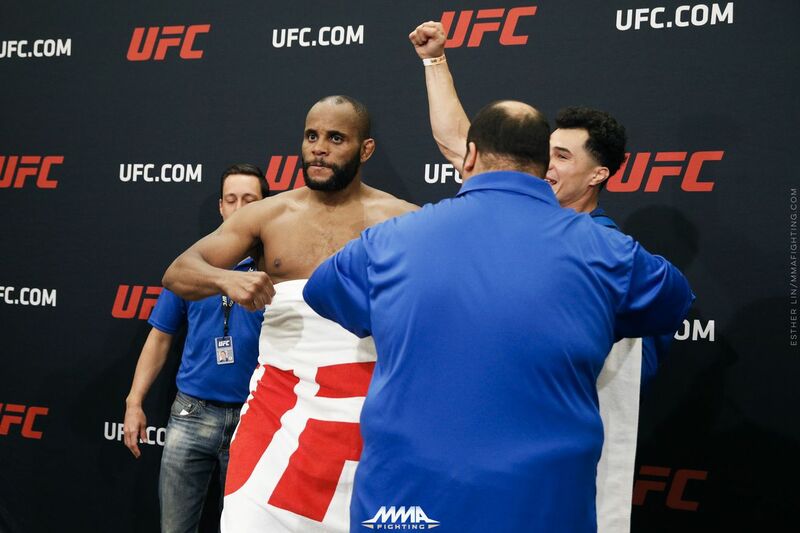 Cormier put his hands on the towel while on the scale and appeared to put some of his weight on it, though it’s unclear if it affected the reading. He needed the towel, because he stripped down to attempt to make the weight. The New York State Athletic Commission (NYSAC) considered the weight valid. Typically, in the early weigh-in format the UFC started last year fighters are not given a second attempt to weigh-in. Anthony Johnson, the light heavyweight, weighed in shortly afterward, before the two-hour window was up, and he was 203.8. The light heavyweight title fight is now official for UFC 210 on Saturday night at KeyBank Arena in Buffalo, but not without some controversy.